We love our winter escapes to the beach. Swapping subzero temps for blue water and white sand is a tried-and-true cure-all for cabin fever. As much as we love the waves and shells, multiple days at the beach can get monotonous if there isn’t anything to break up all the napping and reading. 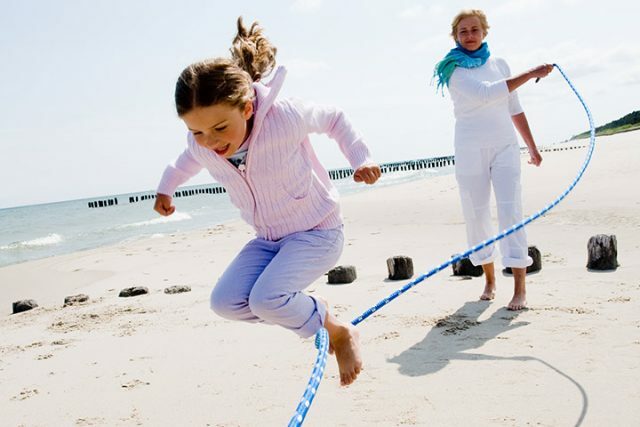 We usually travel with our extended family, so games and activities that work for toddlers, tweens, and adults help us bond while fighting boredom. 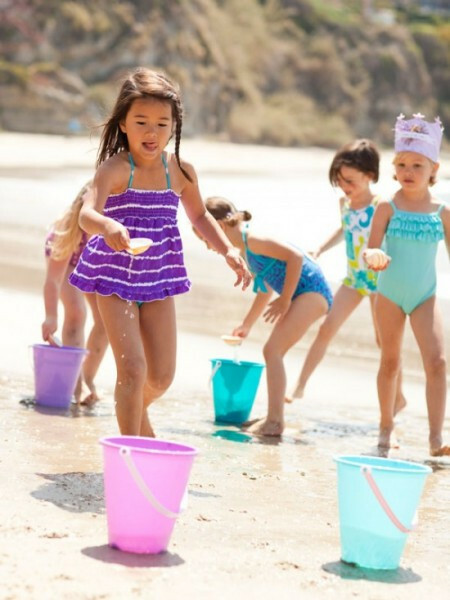 Check out these 12 fun beach games that are sure to create family fun. 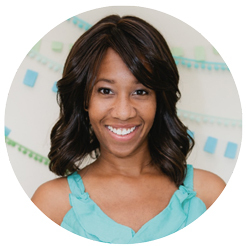 Divide family and friends into two groups, and organize a relay race. Players take turns filling a small cup with ocean water and dumping it into a sand bucket. First team to fill their bucket with water wins! A jump rope becomes a slithering sand snake when three players play this wiggly rope game. Jump to avoid being bit by the snake! Wake up or wind down as a family with a session of beach yoga. Google to find lots of kid-friendly poses. 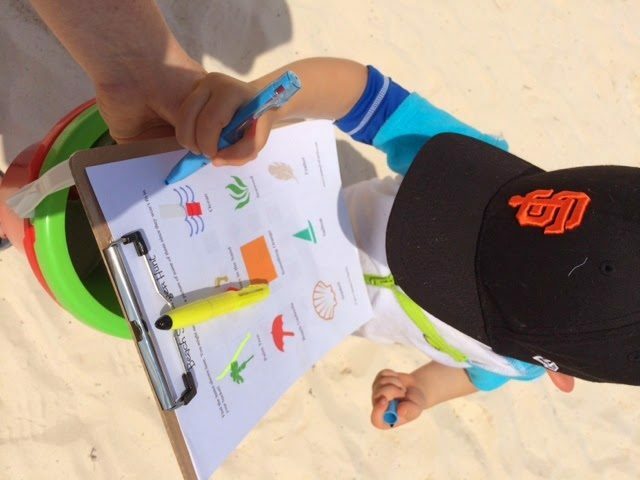 Search for sandy souvenirs and sights with this free printable beach scavenger hunt sheet. Up the challenge for the adults by adding unusual finds to the list. 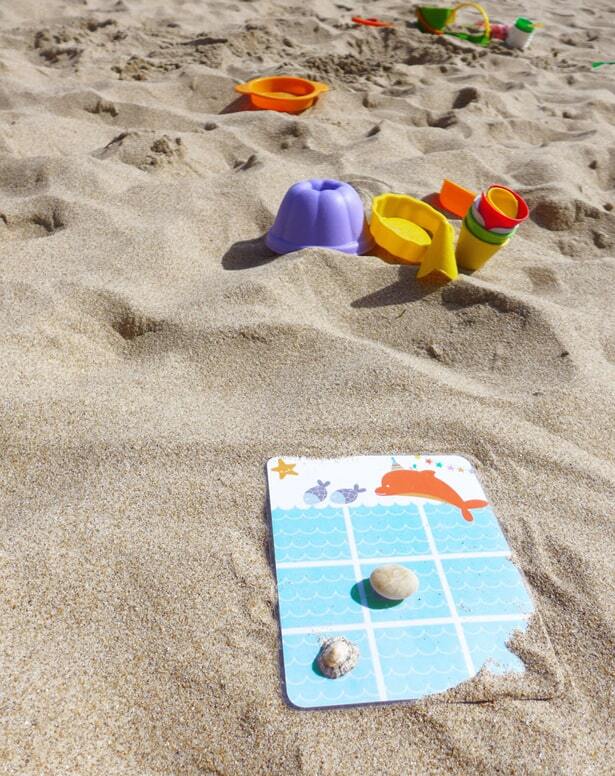 Rocks and shells are perfect for a seaside game of tic tac toe. Simply laminate (or use a sleeve protector for) the free printable game board. 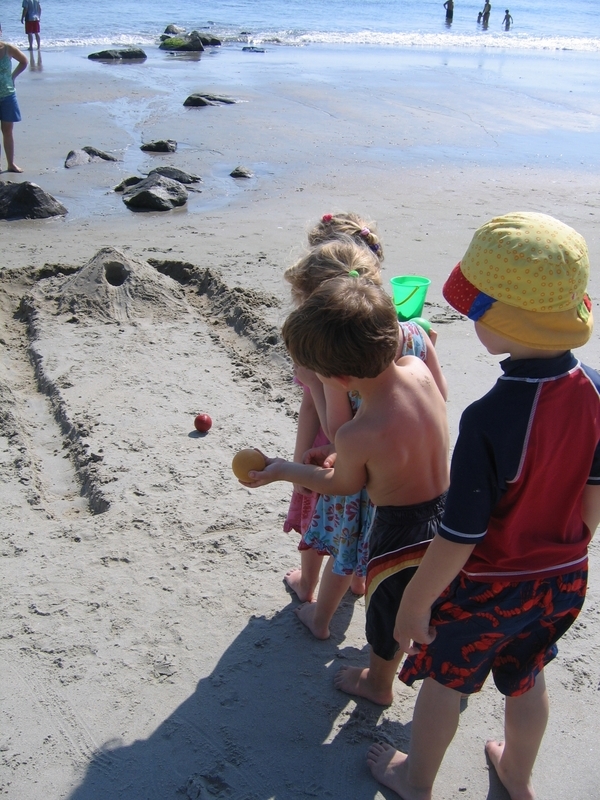 Sculpt a small ramp in the sand, and create one or more holes that kids and adults can sink a croquet ball into to make this beach skee-ball game. 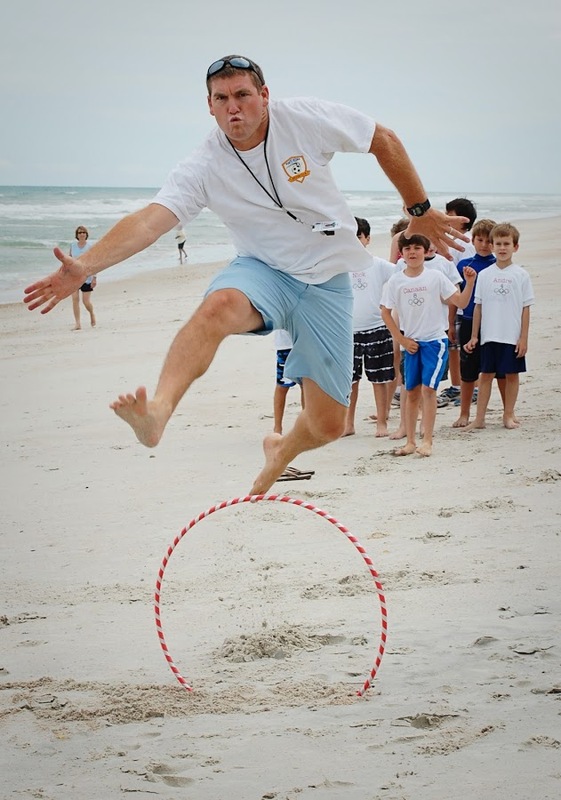 Use hula hoops for hurdles to create a sandy version of the Summer Games. 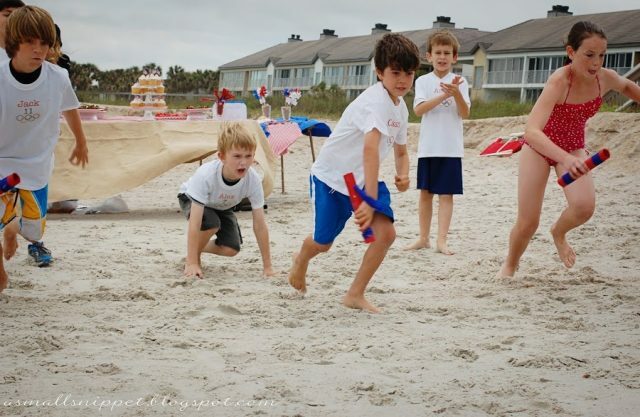 Make a pool noodle or rolled paper baton to start a beach relay race off on the right foot. Use non-toxic dye to turn regular sand into a sensation. The entire family can color then create masterpieces to match their imagination. 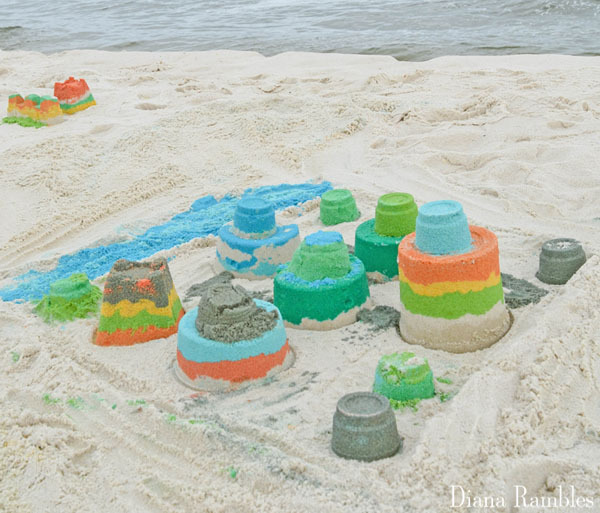 Challenge teams of family and friends to design amazing 2-D sand castles. 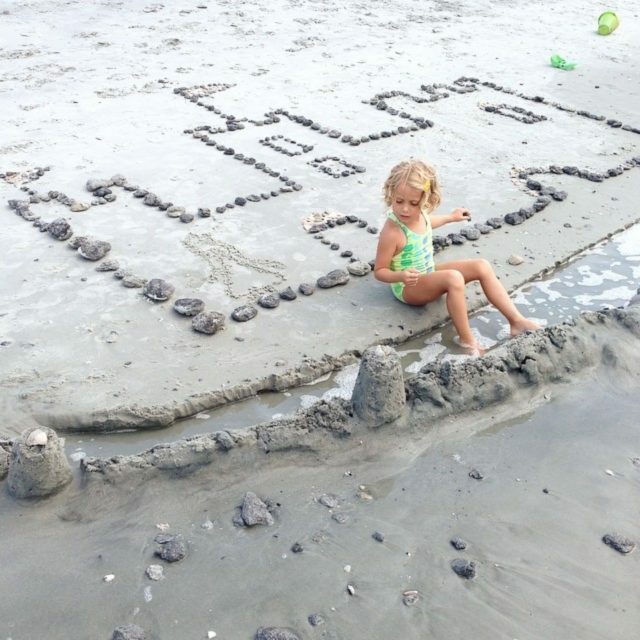 Rocks, shells, and small sticks are ideal materials for castle outlines. Pack small cups with sand to form bowling pins. Grab a ball, and roll your way to a strike or two. 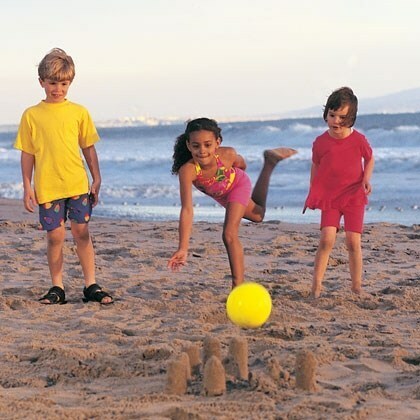 Turn a winter pastime into a sunny way to spend a beach day. 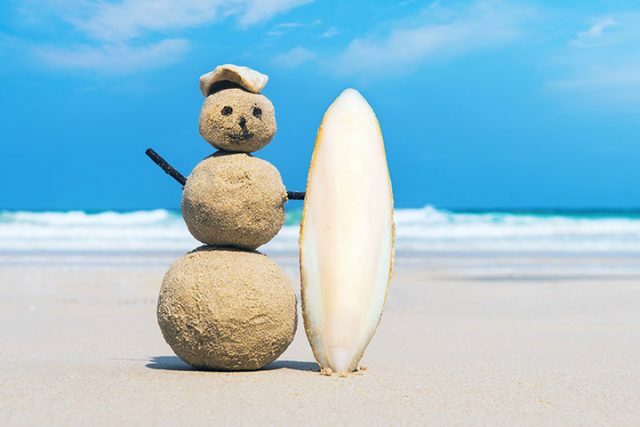 Build a pint-sized, sandy snowman with twig arms and pebble eyes. A shell makes a perfect hat.